The winds of November are some extremely strange winds. The weather in Toronto is oscillating from damp and mild, to dry and cold on a whim. I don't know whether to wear my winter jacket, or my raincoat and I haven't seen the sun in days! And on top of all that noise, my skin hasn't been very happy. 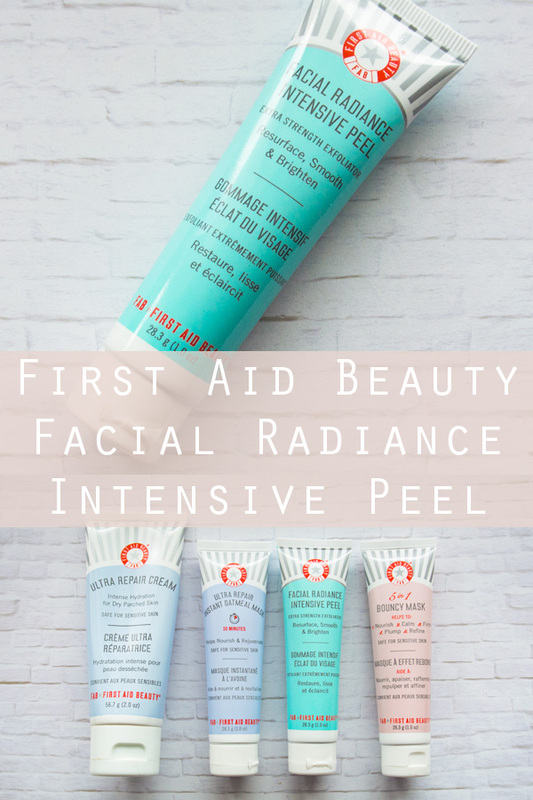 I've recently noticed some texture issues as my combination skin voices it's frustration with the weather, so I decided to reach for one of my trusty skincare products, First Aid Beauty Facial Radiance Intensive Peel. 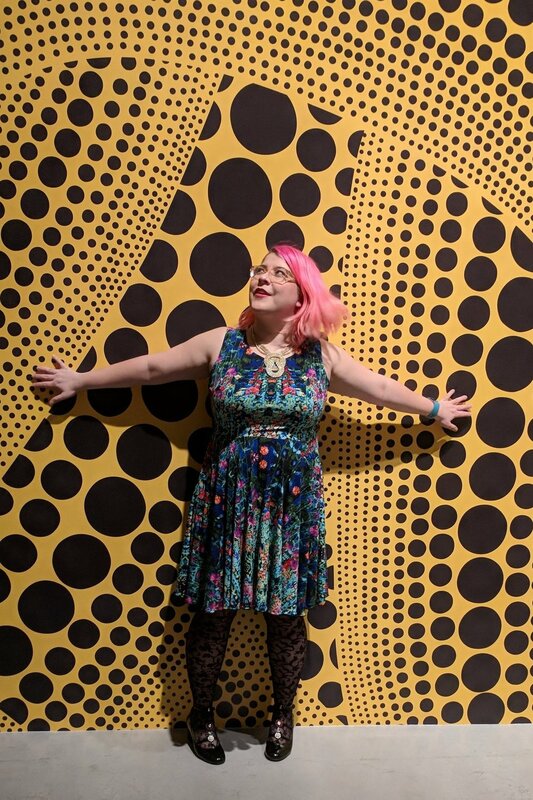 Find out why this is on my MUST list for the fall. Before I go any further, I need to clarify something that was not particularly clear to me when I first grabbed this tube. When they say "peel", they don't mean that this is a peeling mask, but that this mask is like an at-home chemical peel of sorts. It's meant to be left on the skin for an extremely short period of time, and tested in short doses. It does its work in a matter of minutes, and they don't recommend leaving it on for more than five minutes, but even after trying it a few times, I rarely make it to four! 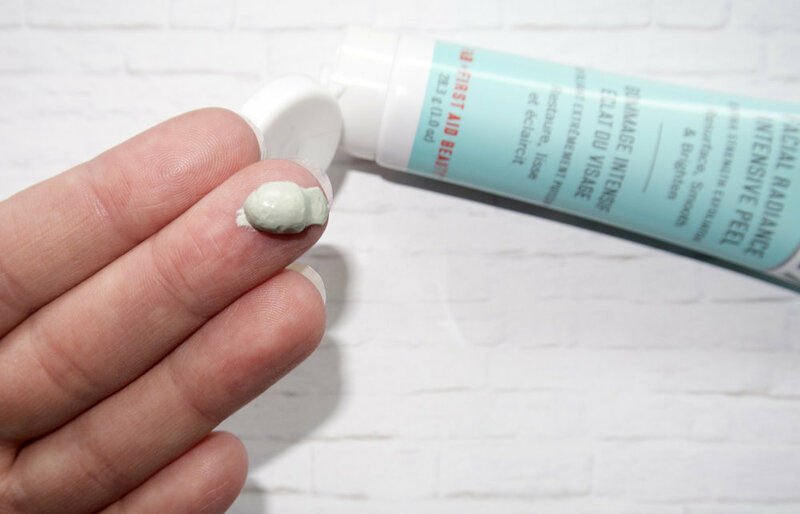 The Product: Loaded with alpha hydroxy acids (AHAs), this product actually resembles a typical clay mask when you first squeeze it out of the tube. However, it's application should be treated a little differently than a traditional clay mask. While FAB recommends applying the product liberally, I actually recommend using it sparingly, since a little goes a LONG way, while also avoiding your under eye area. Basically, you should still be able to see your skin underneath the mask when you're finished. The Effect: Almost IMMEDIATELY after applying it, you'll feel a tingling sensation. I know some people absoutely hate this, and while I'm not a huge fan, I tend to stick with it for three or four minutes now before cleansing it off. When you first use it, try a 30 second patch test as it is VERY strong. They recommend rinsing with water but I usually use a towel with warm water to wash it off. And after that? My skin feels SO CLEAN and FRESH that it's actually ridiculous. Because I tend to put this on a night, I'll use a mild serum and moisturizer, but if you do this during the day, make sure to apply sunscreen as you would after using any other product with AHAs. Verdict: One of my favourite things about this mask is the length of time the effect lasts. I can use this mask on a Saturday night and still feel the effects three to four days later. I find I really only have to use this mask maybe once every other week or so to reap the benefits, and it's a nice quick fix to get my skin back on track. Because it's so strong I wouldn't advise using it more than twice a week, but that would depend on your face and what other issues you're dealing with. As I do with most of my skincare products, I took a look at what Beautypedia recommends regarding the ingredients, and most of it is what I suspect. They are happy with the AHAs and soothing ingredients, but unhappy with the lower then effective amount of salicylic acid, find the clay too drying for dry skin, and dislike the pot style of the permanent version of this product. I also dislike pots for masks, which I why bought this one in a holiday kit where all the masks were in tubes. So, maybe this isn't the product for those with dry skin or sensitive skin, but combination and oily fans rejoice, this is for us! I also checked up on Cruelty Free Kitty and First Aid Beauty has a cruelty-free status as of 2018 and this product is also vegan! All in all, I'm pretty satisfied with this mask. 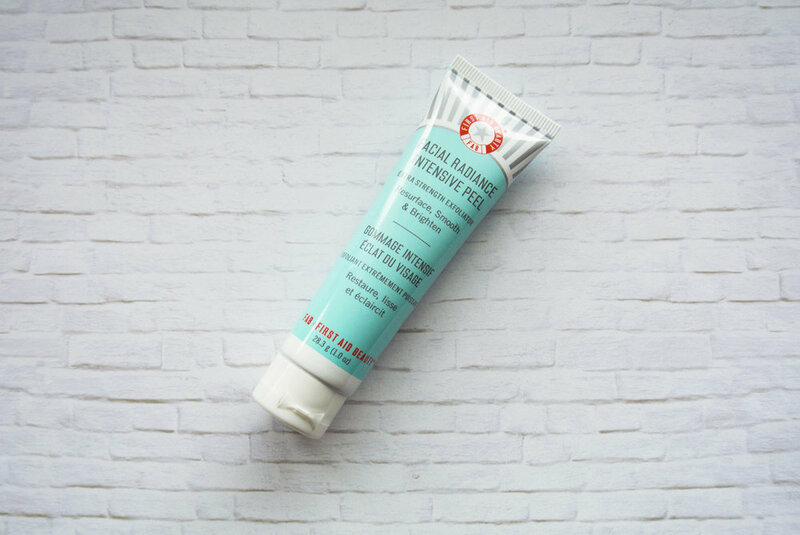 As I'm always hunting for the best in skincare though, I'm not 100% committed to it and when this tube is done I'll probably explore other exfoliants, but it just might be something I fall back on at some point!